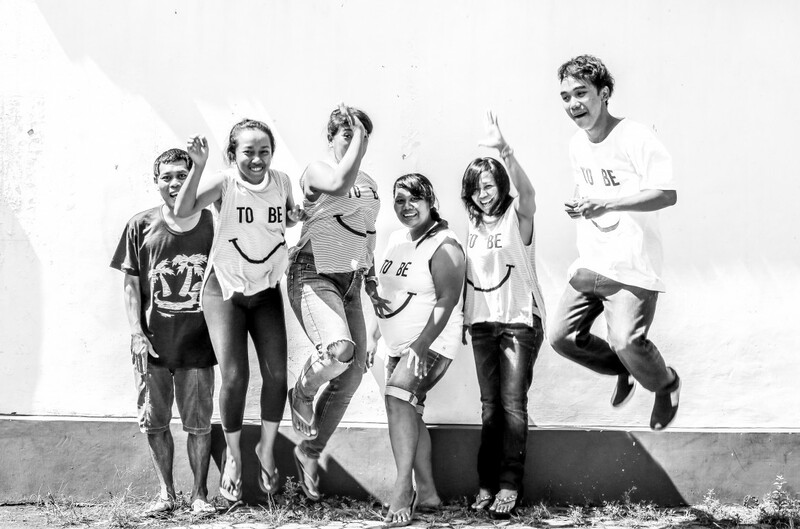 Meet the Faces Making The Happy People Co.
To Be Happy - Our Goal for Everyone. We want the world to be Happy. And that means starting with those around us. One smile at a time. If that smile lives on the front of your t-shirt for all to see, all the better in our opinion. For us, we always want to make sure that everyone involved in the The Happy People Co. journey is having the best experience and best time possible. We headed over to Bali to meet the people making our Happy tanks and the complete range. Because thats where the happiness journey begins. The first person youll meet is Georgia Hall from the clothing line State of Georgia. Georgia started out with a small sample factory and things grew from there. And thats where youll find our complete line being made. Shes in charge of making sure everyone is across their role, but more importantly, that theyre happy while they do it! Does she achieve that? With many of her staff working for her for over eight years now, she calls them her family. And we think thats a pretty good sign. From cutting patterns to the final iron, there is a lot of love that has to go into making just one Happy tank. While Georgia knows that its a job at the end of the day, she loves that her factory is filled with smiles and laughter each and every single day. They are a huge family and they all look out for each other. To say thank you to our wonderful team, we gave each their very own Happy tank. We asked Georgia what they thought about this, “They couldnt have been happier to wear them all together. They had such pride for being the ones to create a product that meant more than just a good fit and soft fabric.” And we feel the same too. Who could you make smile today?